GORMAN – A 22-year-old woman has pleaded no contest to kidnapping three young children of her half-sister, who was found dead last August near State Route 138 in Gorman. 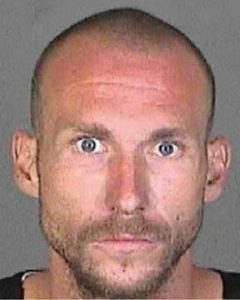 Brittney Sue Humphrey entered an open plea Tuesday, July 18, to three counts of kidnapping, according to the Los Angeles County District Attorney’s Office. In an open plea, the defendant pleads to the court without negotiating a settlement with the District Attorney’s Office. Humphrey is scheduled to be sentenced on Sept. 7 and faces up to 26 years and four months in state prison. Deputy District Attorney Tal Kahana with the Child Abduction Section is prosecuting the case. 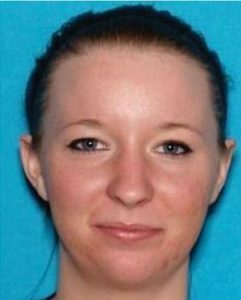 Humphrey and her 27-year-old boyfriend, Joshua Robertson, allegedly kidnapped the three young children of Kimberly Harvill in August 2016. The three children were ages 5, 3 and 2 when the crime occurred. The children were later found abandoned in New Mexico at a motel. Humphrey and Robertson were arrested later in Colorado. Robertson and Alex Valdez, 29, have been charged with murdering Kimberly Harvill, whose body was discovered Aug. 14, 2016, in some brush along Gorman Post Road, north of State Route 138. She had been shot in the upper body, the sheriff’s department reported. Robertson and Valdez face a special circumstance allegation of lying in wait, making them eligible for the death penalty. A decision on whether to seek the death penalty will be made at a later date. Robertson also is charged with one count of possession of a firearm by a felon and two counts of an unrelated arson and one count of possession of flammable material. Robertson is scheduled to return Aug. 8 for a preliminary hearing. Valdez’s preliminary hearing is ongoing. 1 comment for "Woman pleads to kidnapping children of slain mother"